I think he’s worldly and he’s well educated. He’s articulate. He’s decent and he can talk to people…he’s at home in any environment. That’s why I’ve come here to support him. We need, desperately need people like this in public life. Robert James Murray “Rob” Oakeshott may have departed public life last year but he left an indelible mark on Australian politics. Not surprisingly though it would seem there’s a dearth of candidates to replace Oakeshott as the target of cheap shots by shock jocks and know-all nothing nongs the country over. Can’t be seen to put the boot into George (Attorney General). Can’t mercilessly flog Morrison (Immigration Minister). Can’t cowardly sledge Bishop (speaker Bronnie). No free-kick for shock jocks any more. Oakeshott will be remembered for two things – a mindless, rambling 17 minute speech, and deserting a conservative electorate that has been left posted by a bloke with an intellect less than that of Larry, Curly and Moe. If there was one topic I was totally across, and always keen to debate on Angry Old Man Radio, it was Robert Oakeshott. I wholeheartedly agree with Alan Jones’ comments of late 1996. One of the reasons why the power-brokers got their noses out of joint over Oakeshott was he was his own man. He didn’t bow to the shock jocks – he took the fight up to them, something that hadn’t happened before. As the National Party candidate, Oakeshott seized almost 47 percent of the primary vote in the seat of Port Macquarie at the November 1996 NSW election. At the ’99 poll he was soundly endorsed with a 58 percent share of the vote. But back to beginning of the best years. As news editor of the local radio at Port Macquarie, I received a call at home late one Saturday afternoon. It was Rob offering me the exclusive on his plans to jump ship from the Nats and stand as an Independent at the next state election. Tricky move for most pollies (Port Macquarie was a safe National party territory) but no sweat for Oakie. That’s when the “#%^ hit the fan,” deluxe. “How dare he?” the “white-shoe brigade” that dominated the local political scene huffed and puffed. Ungrateful young pup. After all they did for (and to) him. I left that job and came to Canberra in late 2002. 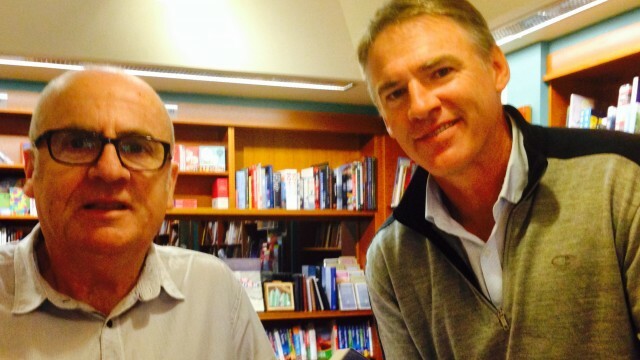 It will never cease to amaze me that if Robert Oakeshott had turned his head to the Right instead of the Left on that fateful day in 2010 his “decision” would still, in 2014, be hailed by those who think they “run the joint” as one of the greatest individual contributions made in recent Australian political life. While he may have gone, Robert Oakeshott will never be forgotten. In fact, I predict rational students of politics, and in particular of hung parliaments, will uphold the contribution of the OAKESHOTT that was heard around the world.